If it’s August it must be Edinburgh: every summer our Stage Management students go up to the legendary festival to run Venue 13. This year it was the turn of the backstage crew to take the limelight as the BBC Wales’ programme Wales in Edinburgh followed the team from Cardiff to the festival city. 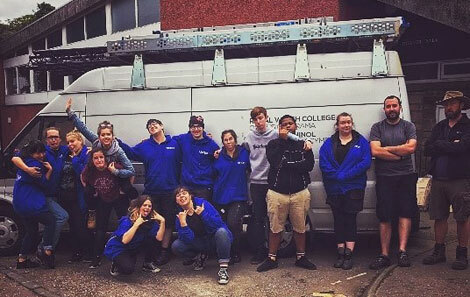 The team of 12 stage management students put on an amazing 12 shows across the four weeks of the festival, transforming the set every 75 minutes. Companies from across the world brought productions ranging from drag artists to shadow puppetry, to kids science, satire and comedy. 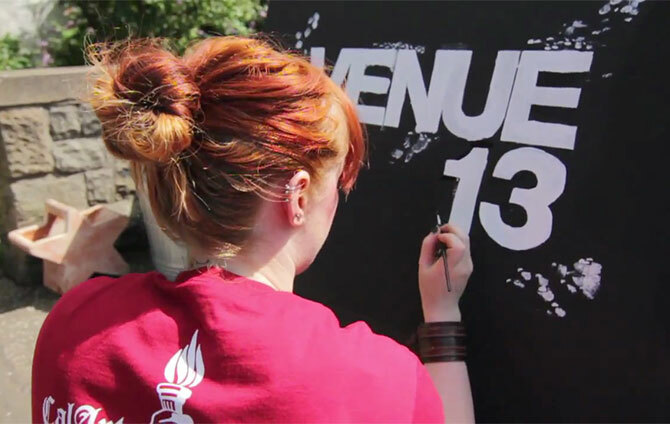 Working at Venue 13 introduces the students to this world-renowned arts festival, with many returning the following year with jobs at the bigger venues. Often students also get to work on other shows across the festival while they’re up there. For example, this year Grace also worked as a member of the stage management team for alumni Gareth John Bale’s show Benny. Only 2 days left to catch these incredible shows from California Institue of the Arts!